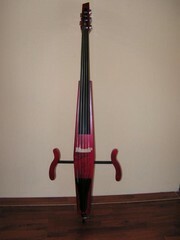 The main electric cello models I manufacture are Classic and Alien. 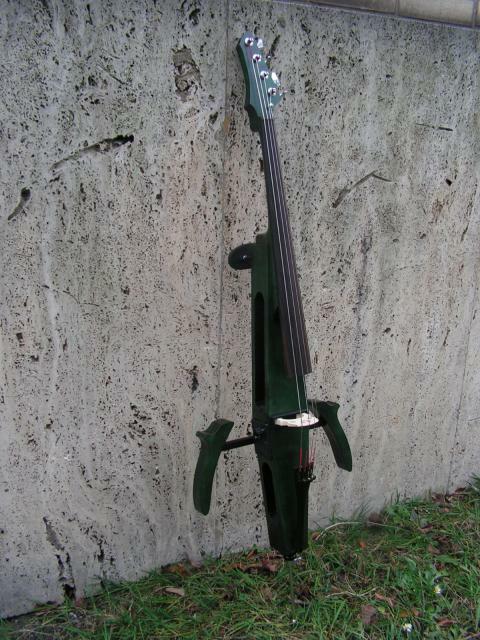 I offer the Classic cello in 4 and 5 string versions, the Alien cello in 4, 5, and 6 string versions. Each instrument is manufactured individually, some parameters may therefore be adjusted to suit your requirements. Delivery time is approximately 6 weeks. You can order by e-mail or order form. 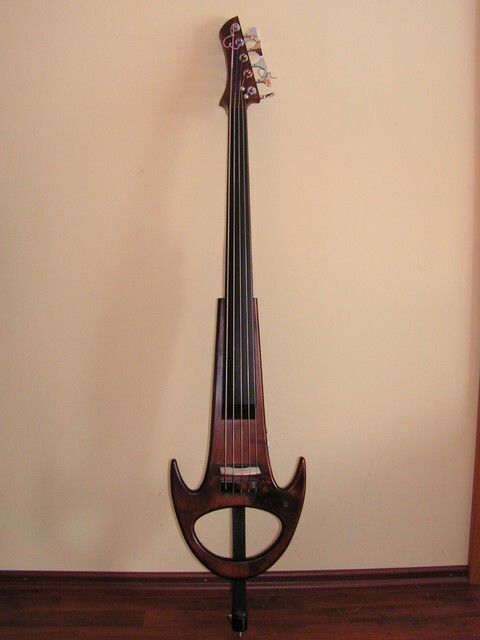 The bodies of all instruments are manufactured from quality ripe maple wood. 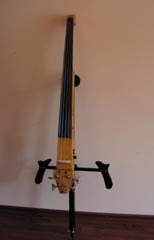 The fingerboards and fittings are made of ebony. 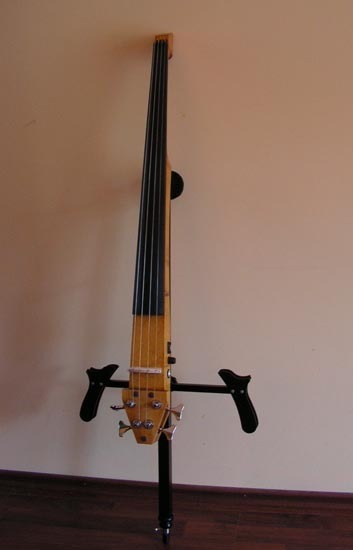 The instruments are fitted with piezo pickups which are located under the bridge. 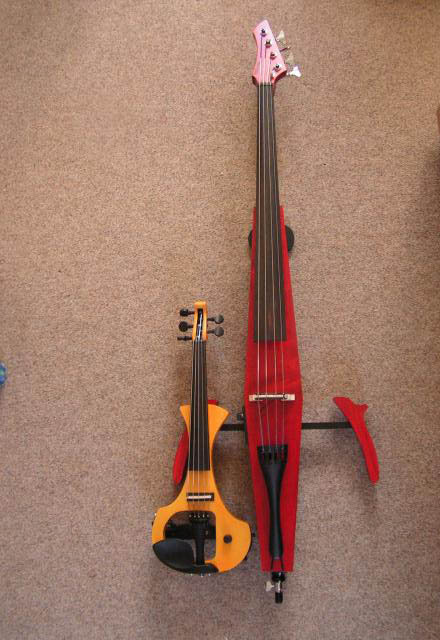 The cellos have a built-in preamplifier which is powered by a 9V battery which has a battery life of about half a year. 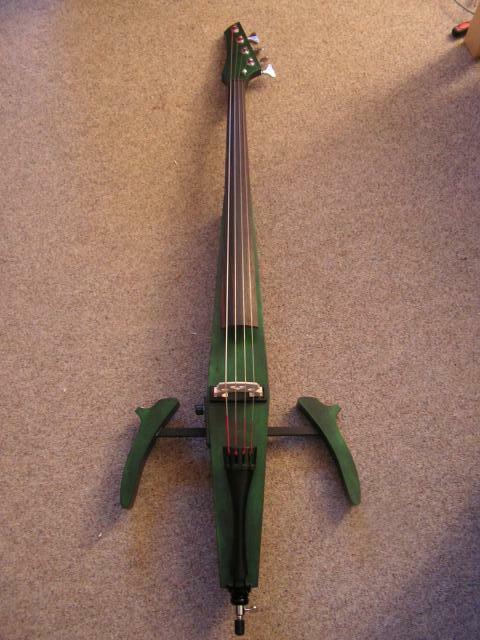 I manufacture the instruments in various dyes – according to the customer's needs – take a look at the gallery for inspiration. 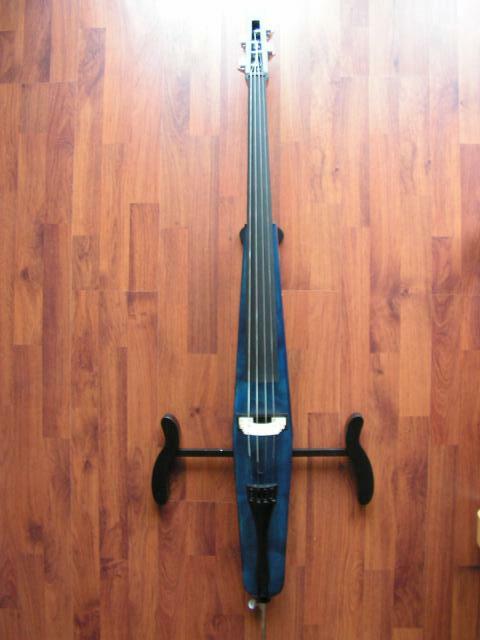 Each instrument comes with a soft case and all products are covered under 5-year warranty. The instrument has oil tuning mechanics instead of tuning pegs - therefore, you will appreciate the stable and comfortable tuning of the instrument. 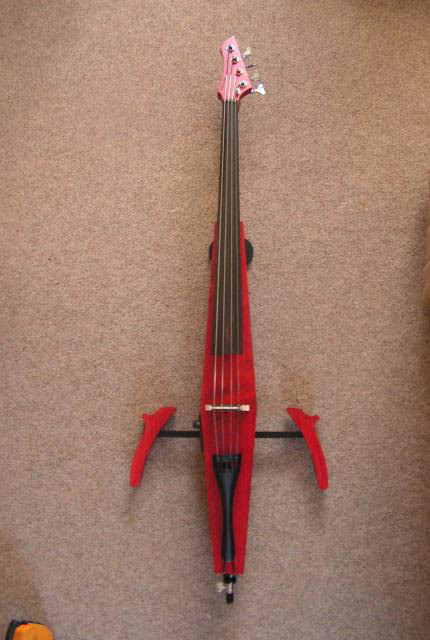 The cello has a removable chest and knee rest. 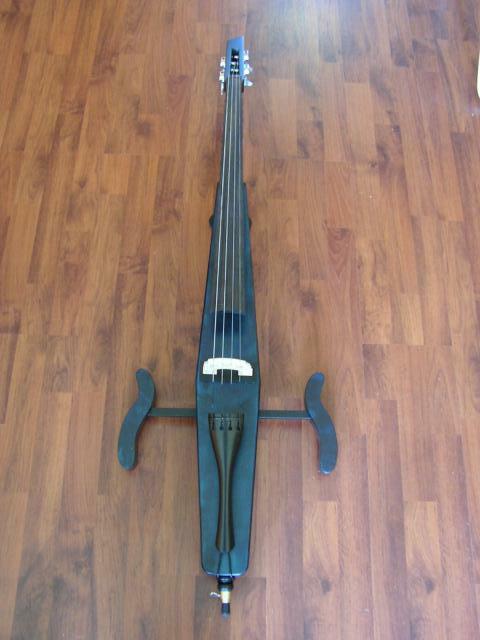 All of the parameters of the instrument may be adjusted according to the customer's needs. Thanks to its unique construction the instrument is highly storable – parameters after packing are approximately 100x10x15 cm. 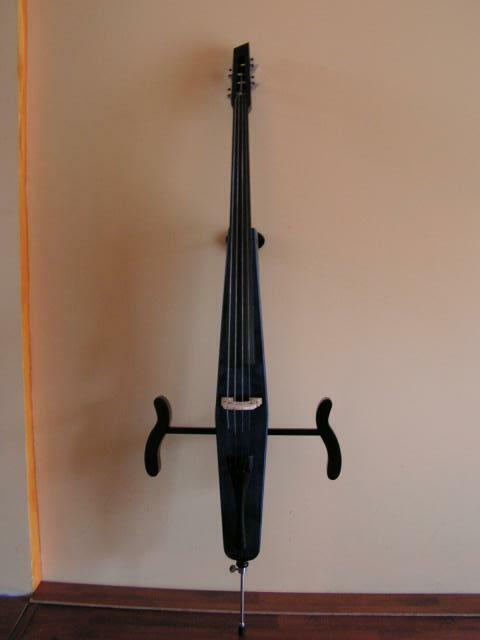 After removing the bottom frame it is possible to hang the cello on your chest thanks to the additional frame and play while standing. 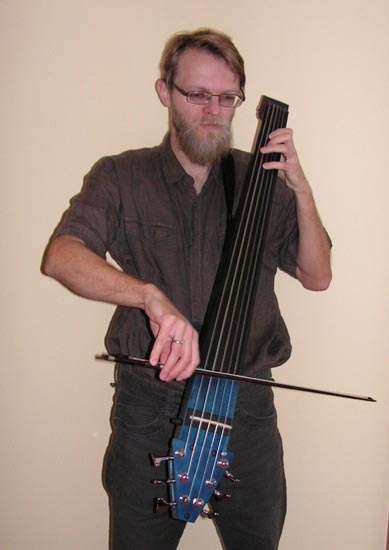 I offer the cello in 4, 5 and 6 string versions.